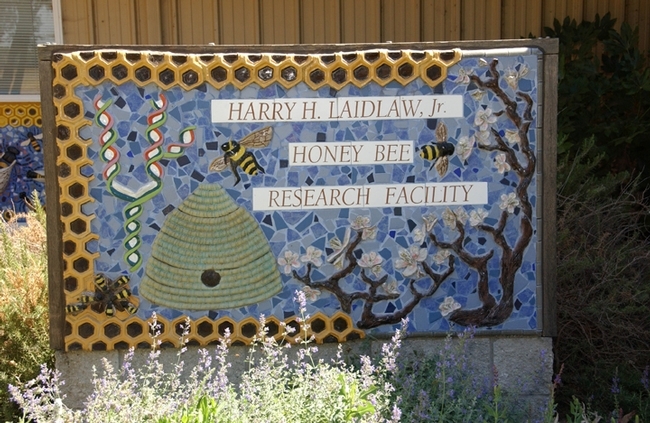 DAVIS—The “honey-do” list at the newly revitalized Harry Laidlaw Jr. Honey Bee Research Facility at the UC Davis Department of Entomology is now shorter, thanks to a $100,000 research donation from Häagen-Dazs to address the bee population decline. The funds will benefit sustainable pollination research, target colony collapse disorder, and support a postdoctoral researcher, said Walter Leal, professor and chair of the UC Davis Department of Entomology. “Honey bees are in trouble,” Leal said. “One-third of our nation's food supply depends on bee pollination, but bees are vanishing in massive numbers. This gift will help us to rebuild and revitalize our honey bee program.” Retirements and budget cuts decimated the program during the 1990s. Häagen-Dazs officials will launch a national campaign on Tuesday, Feb. 19 to create awareness for the plight of the honey bee. Nearly 40 percent of Häagen-Dazs brand ice cream flavors are linked to fruits and nuts pollinated by bees. Häagen-Dazs will fund the salary, while the UC Davis Department of Entomology will provide partial matching funds to support other expenses. Leal said the renewal will be contingent on research progress and availability of funds. The Vanilla Honey Bee flavor will include a trademarked “Häagen-Dazs Loves Honey Bees” icon, as will all other flavors linked to bee pollination. A portion of the sales will be used to help the honey bees through university research. The Harry Laidlaw Jr. Bee Biology Facility team is growing, Leal said. “We just finished conducting interviews Jan. 31 for a bee pollination biologist.” The new hire will join Mussen; bee breeder-geneticist Susan Cobey, Laidlaw facility manager; and native pollinator researcher and emeritus professor Robbin Thorp. Cobey joined the team last May. The Laidlaw teaching and research facility is considered one of the finest and oldest in the country. 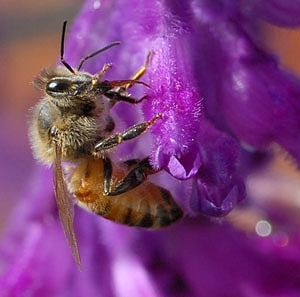 Active bee research began on the UC Davis campus in 1925. Today UC Davis serves as a key center of research, teaching, graduate training and extension activities in apiculture and bee biology in the UC system, Leal said. The Chronicle of Higher Education ranks the UC Davis Department of Entomology No. 1 in the nation. The 8200-square-foot facility, located two miles west of the central campus, is named for UC Davis entomologist Harry Hyde Laidlaw Jr. (1907–2003), recognized as the "father of honey bee genetics” for perfecting artificial bee insemination technology. The newly formed Häagen-Dazs Ice Cream Bee Board includes three UC Davis scientists: Mussen, Cobey and Michael Parrella, professor of entomology and associate dean, College of Agricultural and Environmental Sciences. The board will advise company officials on scientific issues; announce new research findings; and educate the public on ways to help save the honey bee. Mussen noted that honey bees are responsible for pollinating more than 100 U. S. crops, including fruits, vegetables, nuts and seeds. California produces 99 percent of all the almonds grown in the United States. Growers need two hives per acre to pollinate the state's 700,000 acres of almonds, valued at more than $2 billion, Mussen said. “It's exciting that the honey bee program at UC Davis is being rebuilt and revitalized,” Park-Burris said. Dori Bailey, director of consumer communications for Häagen-Dazs, received the standing ovation at a UC Davis dinner on Jan. 10 when she outlined her company's support for honey bees to the American Honey Producers' Association, American Beekeeping Federation, American Association of Professional Apiculturists and the Apiary Inspectors of America. Beekeepers say the general public can help save the honey bees by planting a bee friendly garden; educate others about the honey bee decline; buy U.S. honey; and support research to help preserve the nation's food supply. 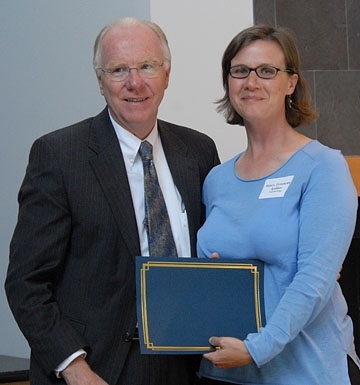 Chancellor Larry Vanderhoef and Fran Keller with her outstanding graduate student teaching award. DAVIS—If it creeps or crawls or flies or jumps, Mary Frances “Fran” Keller wants to know about it. 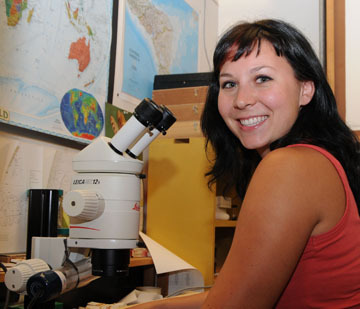 Her enthusiasm for all things entomological, and her desire to share that knowledge with others has led to the highest graduate student teaching award at the University of California, Davis. Keller, a teaching assistant for four years in an insect physiology class taught by Charles Judson, emeritus professor of entomology, Bruce Hammock and Walter Leal, professors of entomology, received a certificate at a recent ceremony in the Walter A. Buehler Alumni and Visitors' Center—and the congratulations of Chancellor Larry Vanderhoef and Jeffery Gibeling, dean of Graduate Studies. 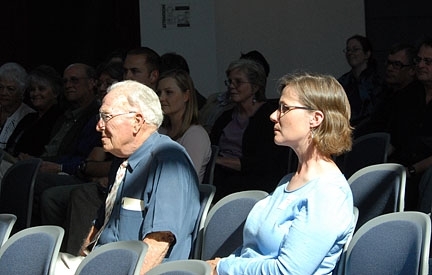 Judson and Leal praised Keller for her knowledge of entomology, her creativity and responsiveness, and her ability to individualize the content. “She is dedicated to assisting our students,” Judson said, adding that her “extensive field experience adds an additional dimension to the list of skills she is able to incorporate into her teaching activities.” Keller is also an accomplished artist, illustrator and nature photographer. Shawn Purnell, one of Keller's students, described her as a “brilliant entomologist, a great teacher assistant, but most importantly to me, she is a friend.”. “My perception and expectations of teacher assistants were forever raised when I met Fran,” wrote Purnell in a letter of support. He aspires to become a physician. Charles Judson, emeritus professor, and Fran Keller, outstanding graduate student teacher, just before the ceremony. In his nomination letter, Leal wrote that “Fran encourages, inspires, challenges and motivates.” Students find her very helpful and friendly, “which makes it easy to ask questions,” Leal added. Keller said her teaching philosophy is to reach students in ways that appeal to their different learning styles. “Students learn more and better understand concepts when they know what their learning style is and how they can apply their learning style to the material presented,” said Keller, who describes her teaching method as more facilitator than lecturer. Scheduled to receive her doctorate in entomology in June 2009, Keller researches tenebrionids or darkling beetles. She studies under major advisor Lynn Kimsey, director of the Bohart Museum of Entomology and chair of the Department of Entomology. "Fran is one of the most gifted students I've had,” said her major professor, Lynn Kimsey, director of the Bohart Museum of Entomology and chair of the Department of Entomology. “In addition to her skills as a teacher, she's pursuing a fascinating thesis project on a group of beetles, and has terrific business skills; a unique combination in a graduate student." Based at the Bohart, Keller also designs museum posters, such as the Butterflies of Central California, Dragonflies of California, California State Insect (California Dogface Butterfly) and Pacific Invasive Ants. Others receiving outstanding graduate student teaching awards at the ceremony were Cassandra Colleen Brown, anthropology; Benjamin V. Fell, civil and environmental engineering; Laurene Lemaire, French; Christopher Schaberg, Lisa Dawn Sperber and Eric O'Brien, English; Diana Tioleco Webb and Patrick Baxter Dragon, mathematics; Laura Marie Hall, Nutritional Biology Graduate Group; Vannarith Leang, chemical engineering and materials science; Brant Andrew Schumaker, epidemiology; Eva Strawbridge, Applied Mathematics Graduate Group; and Hongtao Xie, biomedical engineering. The Graduate Council, Office of Graduate Studies and the Teaching Resources Center sponsored the awards. 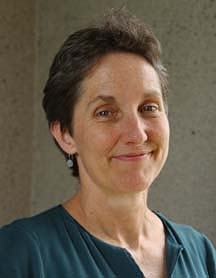 DAVIS--Entomologist Lynn Kimsey, director of the R. M. Bohart Museum of Entomology and director of the Center for Biosystematics, has been named interim chair of the University of California, Davis, Department of Entomology. Her appointment, announced last week by Neal Van Alfen, dean of the College of Agricultural and Environmental Sciences, was confirmed Monday, March 10 by Chancellor Larry Vanderhoef. She will serve until July 2009. Chemical ecologist Walter Leal, professor of entomology, served as chair from July 2006 through February. The chair is a rotational position shared among faculty. Kimsey, professor of entomology and an insect taxonomist specializing in bees and wasps and insect diversity, joined the UC Davis faculty in 1989. She received her doctorate in entomology in 1979. 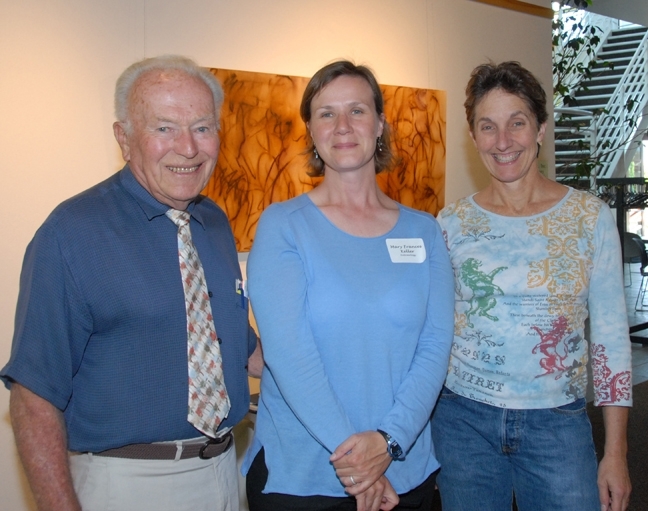 She has served as director of the Bohart Museum of Entomology since 1989. Kimsey said she plans to follow the tradition of the late Richard Bohart by bringing her microscope to the chair's office. Bohart, who was Kimsey's major professor, chaired the department from 1956 to 1965 and retired in 1980 as an emeritus professor. 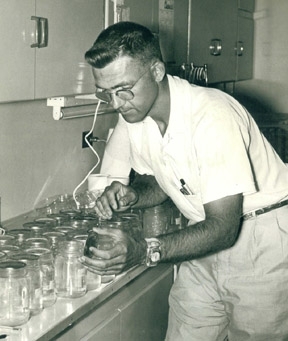 During his career, Bohart identified more than one million mosquitoes and wasps, many now displayed at the Bohart Museum, a teaching, research and public service facility that he founded on campus in 1946. The museum collection totals more than seven million specimens, and focuses on terrestrial and fresh water invertebrates. Kimsey's other office is in Academy Surge, where the Bohart Museum is housed. As to future plans, “We're continuing to build up our bee biology program,” Kimsey said. “We'll be hiring a bee pollination biologist soon and are now accepting applications for the Häagen-Dazs Postdoctoral Research Fellowship.” The premier ice cream company recently donated $100,000 to the Laidlaw facility to address the bee population decline. The faculty completed interviews for the bee pollination biologist in January. The new position will be housed at the Harry H. Laidlaw Jr. Honey Bee Research Facility, west of the central campus. Kimsey's husband, Robert Kimsey, a forensic entomologist, is an adjunct professor in the department. The Department of Entomology is ranked No. 1 in the country by the Chronicle of Higher Education, considered the top news and job-information source for college and university faculty members, administrators, and students.